Time for a rundown of some interesting flicks hitting the big screen this month! Synopsis: A story about the founders of the social-networking website, Facebook. You always wanted to know, didn’t you? Synopsis: A bullied young boy befriends a young female vampire who lives in secrecy with her guardian. 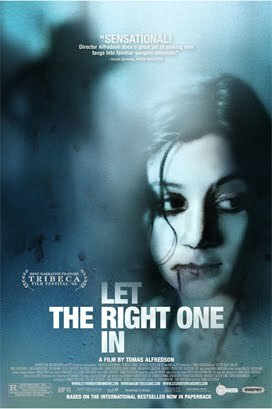 Based on the foreign film, Let The Right One In, this remake appears identical to the original. Other than the fact Americans are too lazy to read subtitles, there’s no reason to remake this film - the original was brilliant! 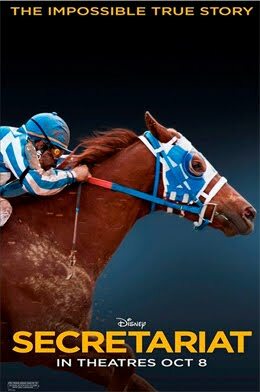 Synopsis: Based on the remarkable true story, "Secretariat" chronicles the spectacular journey of the 1973 Triple Crown winner. Likely to be formulaic, at least you know it has a happy ending. Helen Mirren shooting an automatic weapon - need I say more? Synopsis: Tells the story of three people who are touched by death in different ways. Eastwood is an outstanding director, but I predict this movie will be incredibly depressing. Synopsis: Six years ago NASA discovered the possibility of alien life within our solar system. A probe was launched to collect samples, but crashed upon re-entry over Central America. Soon after, new life forms began to appear and grow. Judging from the trailer, this one looks creepy and atmospheric! Really looking forward to this film. Today is also the first day of NaBloWriMo – blogging every day for the month of October. I’ll be taking Arlee Bird’s A-Z approach and only post once on the weekends. And since my virtual tour starts in two weeks, there’s a lot happening this month! Thank you for acknowledging the fact that "Let Me In" is just a rehash. I totally can't see "The Social Network" because I'm a wuss and I don't like to hear about geeks who could just be gross and sinister. I'm weird, I know. I enjoy Facebook a lot and I don't want that to be sullied. Alex, Let The Right One In was a brilliant film - no need to remake it! great call on all... the horse on the track movie... looks awful.... so does the obvious rip off vamp flick. the rest... guns, ghouls, and monsters! I want to see most of these movies. Thanks for reviewing. I'd SN is the most intriguing one of the bunch. Only one I really want to see is RED. Laughs and action -- you can't beat it. I don't get Lee's A-Z thing with weekends only???? You are absolutely right. Let the Right One in was brilliant. I don't understand why people just can't deal with subtitles. Le sigh. OMG Alex, just 19 more days to go before the fireworks start! 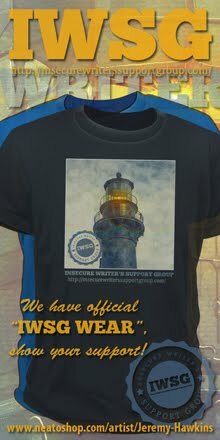 My PR team is ready for the launch of the rocket! I shall never forgive you for not mentioning my Karl Urban in RED, even though you know it's an interstellar crime not mentioning his name in every possible situation! It's an exciting month for you! YAY! Of the reviews, Red appeals to me and Secretariat of course, KY.
Good reviews, sorry I missed the last ones. Google is being selective again. Let me in is the only one of these that I feel like I'd like to see. Maybe SEcretariat. i wondered if let me in was a remake of let the right one in - the titles were so similar. good to know. I'm excited to see Secretariat. But we're big horse people in my family. It will probably just make me want to watch seabiscuit again. 19 days until your book releases!!!! I'd love to see Secretariat because he was a great horse. Monsters sounds intriguing, especially since last night on the news they were talking about finding a planet in another solar system that could sustain life. WOW. Great reviews, thanks. Good luck with NaBloWriMo. There are quite a few movies there I hadn't heard of (yet). Some great looking movies coming out. I don't really want to see the sad ones but some of the other ones look exciting. I will check back with you on your challenge. I can't wait for RED. I think it is going to be fabulous! RED is on my list. I hadn't heard of MONSTERS but it sounds good, too. I'm iffy on the Matt Damon movie. Today's guest blogger in Christina Lee! Let the Right one in was remade?!?!?!?!?!? Are you serious?!!?!? Oh my word. 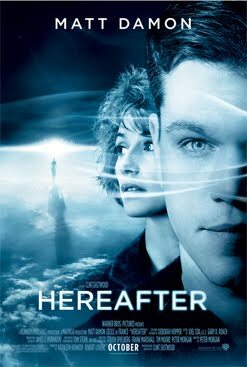 Anyway - I thoroughly enjoyed the last Matt Damon/Clint Eastwood partnership with Invictus so I think Hereafter will be my pick!! Thank you so much for these snippest of films to come. I'm still reeling about Let the right one in remake. tut tut! Mary, Lee had an A-Z Challenge last April and over a hundred of us blogged daily (using the alphabet) except on Sundays. So for NaBloWriMo, I'll just post once for Saturday-Sunday. Hannah, it's sad, isn't it? Dezz, my bad! Blame Rotten Tomatoes for not listing him in top billing. Jules, you are excused then! Charles, rent the original - Let the Right One In is excellent! Old Kitty - yeah, awful, huh? Looks like RED will be a big hit this month! Thanks for this list, Alex! Now that I know Fincher's directing the Facebook movie, I kind of have to see it. Remaking Let the Right One In seemed as necessary as remaking Infernal Affairs into The Departed... but the latter worked out okay, and according to early reviews, it looks like this one might be a decent remake, too. I'll still prefer the first in each instance. Oh, and Helen Mirren shooting an automatic weapon isn't that out of character. She did play a contract killer in Shadowboxer. A couple of good sounding films in this batch. I'll be seeing the ones I'm interested in on Netflix in a few months I guess. Good luck with NaBloWriMo as I try to cut back on so much blogging. Seems you're going to be busy in October. Have fun watching them. Ps thanks for the visit and comment.The poem I blogged was written 5 years ago, all children are more considerate as I write. Thanks for the rundown. Might go see Secretariat. I'm a sap for happy ending animal stories! Hey Alex - I'm hoping Red will be funny - good. I want to see Helen slinging a gun around. I can't see her badass, but I want to. Oooooh! Monsters and Red both look great--thanks for the heads up--I never go looking for movies on my own, so it's nice to have someone else weeding for me! I had never heard of monsters. Looks good. Social network is a tossup to me. I think I only want to see it because they used the scala version of creep in the trailer. Nate, I've heard the remake is really good. It just didn't need to be made. Lee, I'm just crazy that way! Hey Grammy! Good to see you. Hart, you've come to the right place for movie updates. Okay, Dezz does them much better. but I try. Wow, I didn't even realize that October was National Blog Every Day Month or whatever it's called. Looks like I'm not going to quite make it with a few days off on the weekends this time around. Cool post! 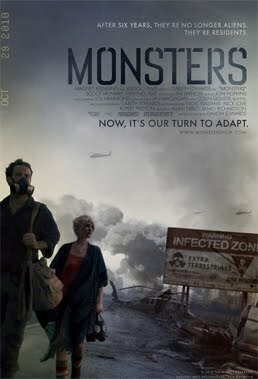 Monsters looks interesting. There's a couple there I might like to see - Matt Damon is always a good watch (imo) and I wanted to see Secretariat. Though I'll probably wait til we can rent them. On a sidenote... just got an email saying my order from Amazon has been shipped... yay for CassaStar! But I thought the release date was the 19th?? 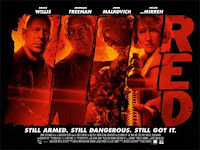 Saw the poster for RED in the theater a few weeks ago. Literally GASPED seeing Helen there. I knew I needed to see this one right away! There are definitely some good films coming out this month. I really wanna see that Matt Damon flick. I've only read great things about The Social Network. Can't wait to hear your take on it. I did not know about NaBloWriMo. Maybe I heard about it, but I didn't really know what it was, lol. Ignorance is bliss and all that. I'm thinking my readers will go slowly insane if I were to blog daily. Or, I would, lol. Hey that Monsters movie sounds wicked! That one flew under my radar. Thanks Alex! I'm getting tired of teenage vampites. please make them stop. Clint hasn't let me down yet, so I'll check out hereafter as well. So many great flicks to see in October. 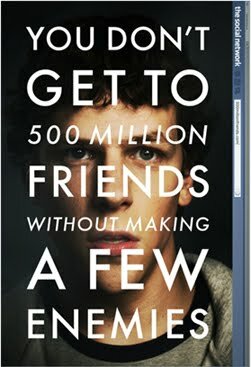 I'm particularly very excited about David Fincher's "Social Network", though I'm not a fan of Facebook. I must watch Let The Right One In before the remake comes along. Planning to see Here After and possibly Social Network . I always love your movie lists! Ali, if I go nuts with NaBlo, I'll let you know! Glad I could tip you off on Monsters. I was almost positive that let me in was horribly similar to Let the right one in but I kinda thought they wouldn't have done that, for some reason. Oh well.. I'd like to recommend Hatchet 2. It was unrated in limited theater release and abruptly yanked out of the theaters today by AMC. So now I can't tell you to see it because that's impossible. It was good if you like horror films, but there was too much controversy about it being unrated I guess. I know i will break down and see The Social Network but I encourage all to watch Let The Right One In before seeing Let Me In. That film has such beautiful cinematography.